Our conscious sedation dentistry in San Mateo, California offers patients a stress free and pain free approach to achieving their dental goals. You can feel confident that you are in good hands with sedation dentist Dr. Michael Wong as he has received advanced training in dental sedation. “Dentistry while you sleep” eliminates the dental anxiety, the fear linked with going to the dentist. Though you are conscious during treatment, you will not feel any pain. You take a pill an hour before coming to our office. A companion of your choice then drives you to our office. You arrive in a relaxed and drowsy state. Rest assured that a member of our team is always with you and your vital signs are monitored during your visit. You are released from your treatment minutes after completion. Your dental visit will be part of a relaxed, stress-free and day. 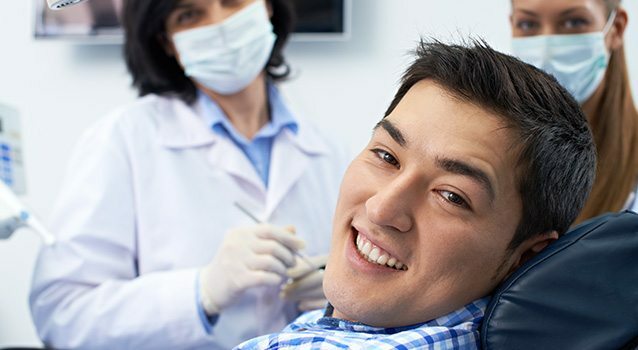 You’re a likely candidate for dental sedation if you have a high fear of going to the dentist. You might also consider it if you have had a previous traumatic dental experience and want to come to us for a positive experience. We also know that sometimes bad teeth can be embarrassing. Through sedation dentistry, you won’t have to overcome your shyness in showing us the problems afflicting your gums and mouth. Some patients cannot go through with the more traditional procedures of dentistry because of a bad gag reflex or difficulty with needles or numbness. There is also a correlation with time and complexity. The more complex your procedure, the more likely sedation dentistry might be right for you. The important part is that you won’t remember the time it took or feel any of the pain that might otherwise be involved. We offer sedation dentistry to San Mateo area residents for many reasons. Whatever the reason, our patients smile and are grateful.